The tournament will take place on May 11, 2019 in Cedar Hill Recreation Center. Competition will be divided in following categories. To register go to www.VicTTClub.ca/signup page. Registration for the league is closed. Follow the link above to see team composition. Teams can start scheduling the matches by mutual agreement until end of August. Starting September we will establish a schedule and each team will be allowed to reschedule particular match only once by postponing max. 2 weeks. If you are still interested please send email to admin@victtclub.ca This year match format has changed. Teams will be composed of minimum 3 players who will be playing each other (9 matches) plus one doubles match. If score is 5-5 the winner is going to be chosen based on number of sets won, followed by sets lost during all matches. First round will be Round Robin with all teams participating. Registration fee – 10$. To submit scores click HERE. We would like to thank all players participating in our 2018 Victoria Open Championship for great sportsmanship and support. We hope to see you next year at 2019 Victoria Open Championship. To find the results of all categories visit our TOURNAMENT RESULTS PAGE. Victoria Table Tennis Club is hosting Victoria Table Tennis Annual League. If you are interested in joining please contact us by email. Final Knock Out Round is starting on Nov 16, 2017. We would like to thank all players participating in our 2016 Victoria Open Championship for great sportsmanship and support. We hope to see you next year at 2017 Victoria Open Championship. We will be starting “Winter-Spring Round Robin Singles” competition for club members. To learn more go to Tournaments and Competitions page. October 2015 – We are now starting to play at the Polish Hall which is proving to be a great place to practice. Currently we only have one table but soon there will be 2 tables. We will post more info soon. June. 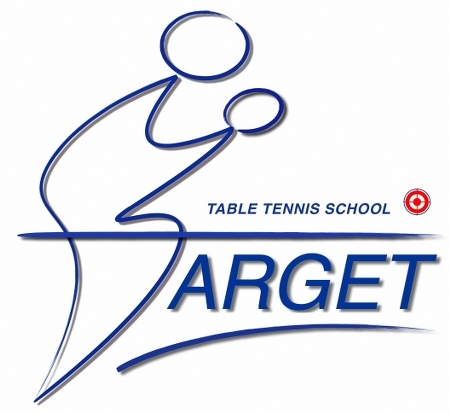 16, 2015 – The 2nd Annual Victoria Table Tennis Championships will be held this Sunday. Visit the Tournament page for details. May. 8, 2015 – The 2nd Annual Victoria Table Tennis Championships will be held Sunday June 21st, 2015 at Henderson Recreation Center. Visit here for more details. Nov. 16, 2014 – The club ladder has been kicked off today. There are about 20 club members who are on the list so get out there and make your mark. Please visit the ladder page for more information and view the current standings. Oct. 10, 2014 – We are planning on starting the club ladder soon. The format is going to be a little different this time and we are hoping it will be a big success. Take the challenge and climb the that ladder! More details on the ladder coming soon. Sept. 28, 2014 – The 2014 VITTA Open Tournament took place at Cedar Hill Rec Center on September 28th. Here is a link to all major matches played last Sunday tournament. Each of you can spread this information on available to you way. Seems like many people are waiting to see it!